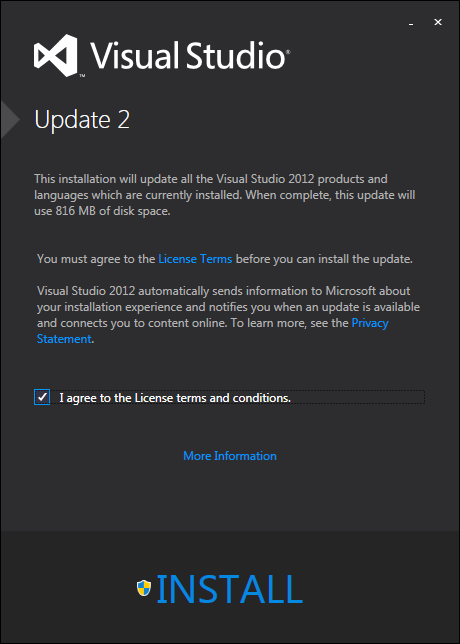 Visual Studio 2012 Update 3 is now available to download and is primarily focused on bug fixes. 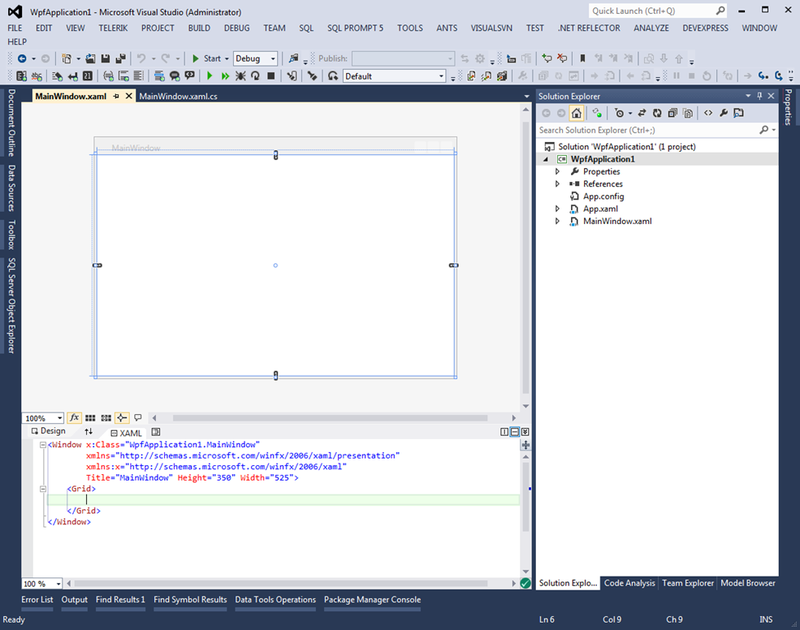 Microsoft released it’s second update for Visual Studio 2012. So far they’re been releasing updates every quarter since it was released in late 2012. This is a considerable update that adds lots of new features, bug fixes and performance improvements. 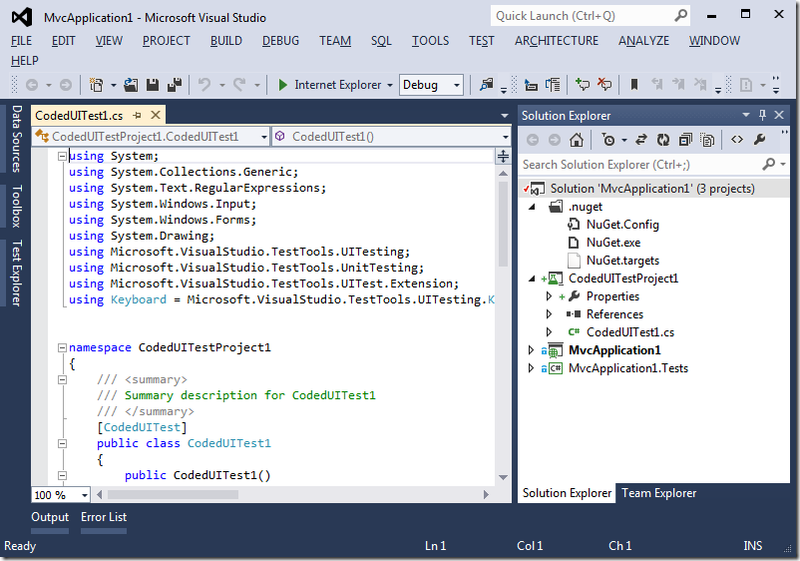 There is even a new Blue theme, that gives the IDE a VS2010 look. Install Update 2 today to get the latest support Visual Studio has to offer. On January 30 2013, Microsoft announced the availability of the Community Technology Preview (CTP) for Visual Studio 2012 Update 2 (VS2012.2). As mentioned in the announcement, there is going to be a ton of cool new capabilities coming in Update 2. With that said, not all of them are available in the CTP, but many are. Here are a couple screenshots for what’s been changed/added for a developer experience. NOTE: This CTP is not a “go-live” CTP and is for evaluation purposes only. Head over to the post for complete details on what’s coming. I’m looking forward to this update and can’t wait to hear about other cool new capabilities. Three new sets of storyboarding shapes are now available for iOS, iPhone and iPad. These shape libraries are available with the Storyboarding functionality that is included with Visual Studio 2012 Premium, Ultimate and Test Professional products. 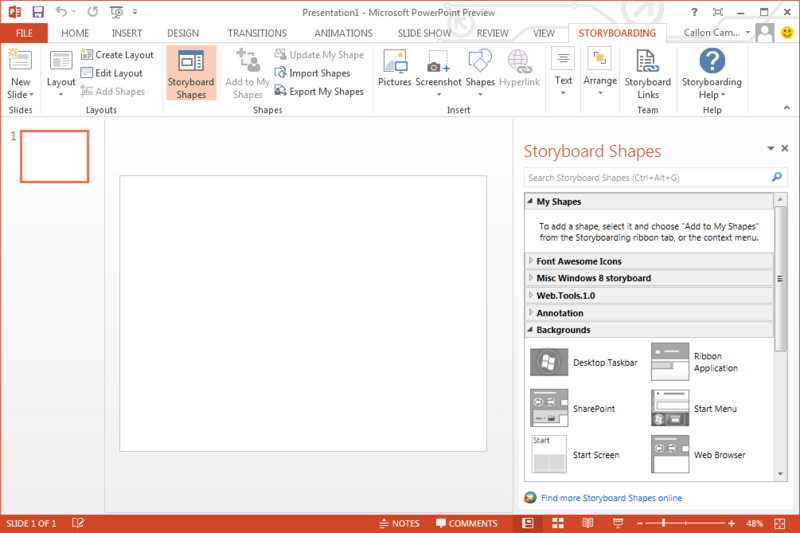 You can read more about Storyboarding functionality in my blog post an introduction to PowerPoint storyboarding. You can download these shape from the Visual Studio Gallery. 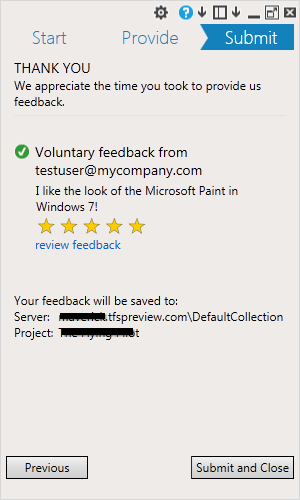 Another one of the new features introduced in Visual Studio 2012 is the Microsoft Feedback Client, which can help your development team gather both solicited and unsolicited feedback about your software projects from your customers and stakeholders. The feedback client allows you to capture your interaction with the application as video and/or verbal or type-written comments. 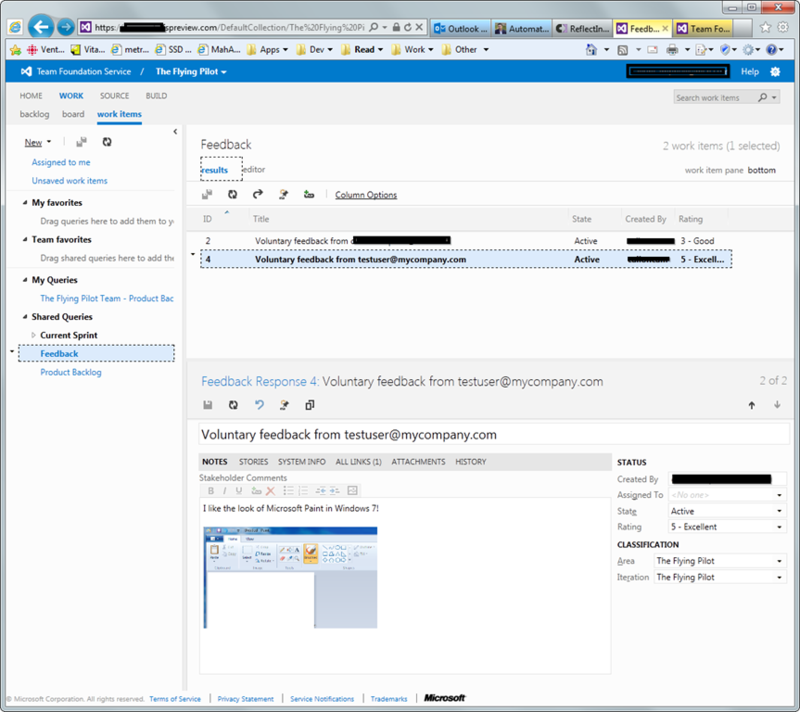 Your feedback is then stored in Team Foundation Server 2012. Let’s have a quick look at how to get started and provide some feedback. 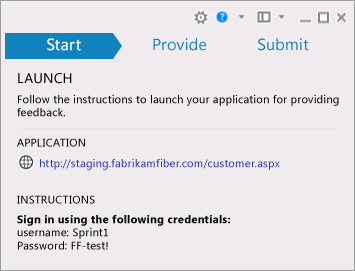 You will then be prompted to connect to your Team Foundation Server. You may have noticed that I’m connecting to my TFS Preview account. This is a FREE preview to TFS in the cloud. I’ll write more about that in a future post. 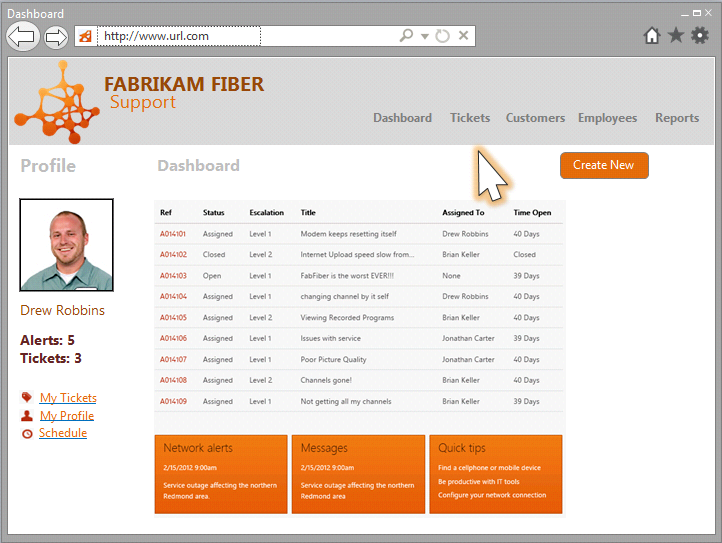 After you’ve connected to your Team Foundation Server, you will see the Microsoft Feedback Client. 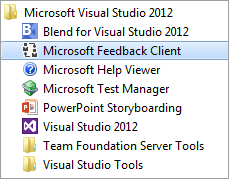 This is a very simple, yet powerful tool for capturing essential feedback and of course it’s got a similar look and feel to Visual Studio 2012. In this scenario I’m providing voluntary feedback, so I have to manually start the application I want to provide feedback on. The feedback tool contains a lot of options for how and what feedback you provide. I will start by providing some simple feedback. In this example I took a screenshot of MS Paint and included a comment. 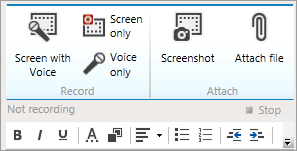 As mentioned above, you can record your interactions with the application, include verbal and/or written comments, attach files and/or screenshots. After you’ve entered your feedback, you can review, make corrections and/or additions and rate your feedback with the stars. Once your ready happy with what you have, click on the Submit and Close button to submit your feedback. After you’ve submitted your feedback, the Microsoft Feedback Client will then close and your feedback is sent to your Team Foundation Server, where the system automatically creates a work item which contains the feedback you submitted. 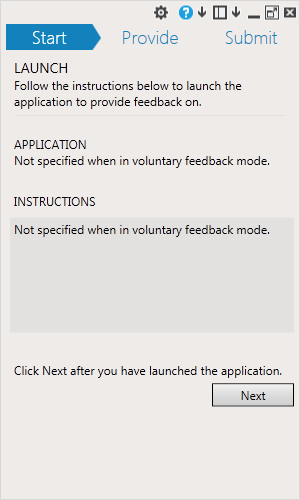 I think this is a great addition to Visual Studio 2012 and is something I look forward to using when developing and testing my software projects and recording the necessary feedback to share with my team. If you’re not using this tool…you should be. 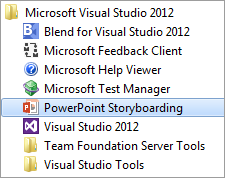 One of the new features introduced in Visual Studio 2012 is an add-in for PowerPoint that allows you to do Storyboarding. PowerPoint Storyboarding allows you to quickly and easily put together an interface design, whether it be for a website, a mobile device, Windows 8, or a desktop application, and then get the necessary feedback from your stakeholders. And since it’s PowerPoint, then even your stakeholders can easily make changes and show you exactly what they want. NOTE: This feature is only available for Visual Studio Premium and Ultimate users. This will launch PowerPoint with a blank slide and take you to the Storyboarding tab. You will notice the Storyboard Shapes to the right of your slide and provide all kinds of shapes for your interface design. These shapes are also searchable via the search box. 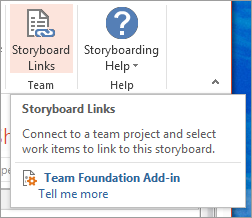 One of the neat features found in PowerPoint Storyboarding is the ability to manage your custom shapes as well as export them for other team members to use. 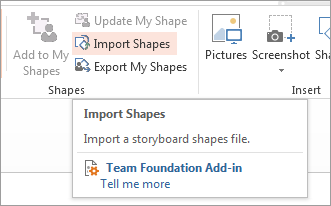 Additionally you can also download community shapes by going to Visual Studio Gallery and downloading any of the available shapes. Most are free, but at the time of this post…there was 1 paid set of shapes. NOTE: If you’re not using Team Foundation Server, then there is now a free Team Foundation Server Express 2012 edition, which can be used by up to 5 developers. You can download it from Visual Studio Download page. So there is no reason not to be using Team Foundation Server . I’ve been using Visual Studio 2012 for just over a week now and I’m really liking all the new features and functionality that comes with it. However I’m still not a huge fan of the new light/dark themes. I would like to use the Dark theme, but find it’s just too dark. It would be nice if they made it a few shades lighter. Anyway I came across the following blog post on Jason Zander’s blog about the Top 12 of Visual Studio 2012 and I thought I would share it. 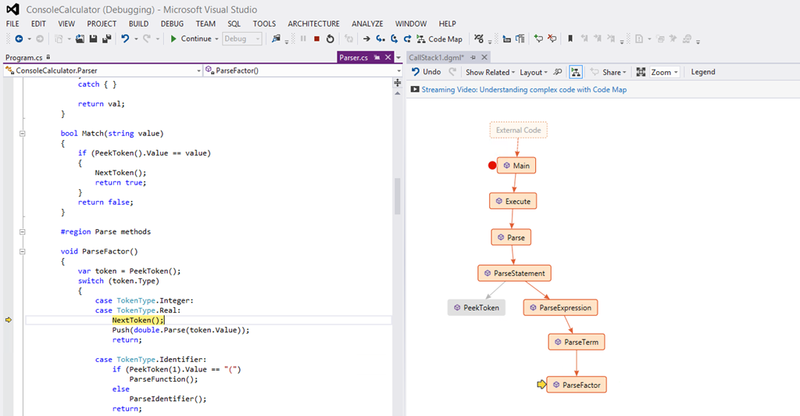 Checkout Jason Zander’s blog post for the full article the Top 12 of Visual Studio 2012. 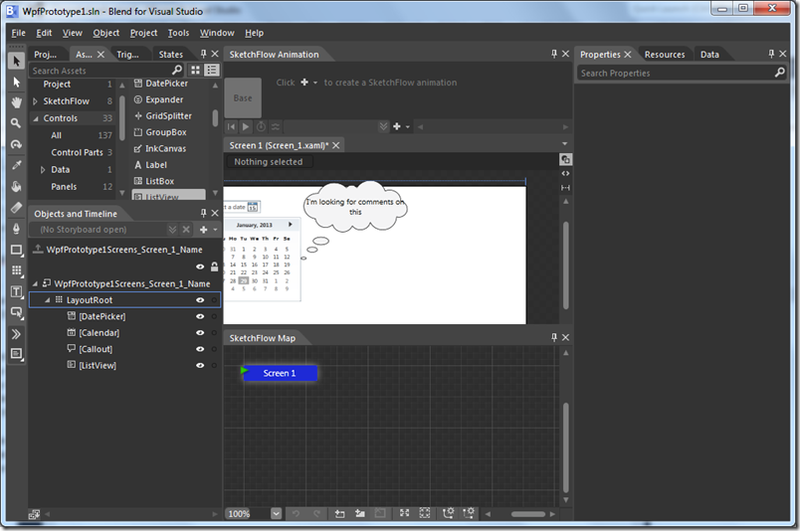 If you have access to Visual Studio 2012, I highly recommend you give it a try. You can always work in both Visual Studio 2010 and 2012 as they are backwards compatible with one another.